Looking for more of a historical style this Halloween? More specifically, are you hoping to properly portray the women of the colonial period? Well, no woman would be seen walking about the settlements of Plymouth or New Amsterdam without a bonnet atop their heads, so you shouldn't be seen at your next costume gathering without one either. Once you find the perfect colonial dress, we have the perfect Colonial Mob Hat for you to add to your outfit for the finishing touch. 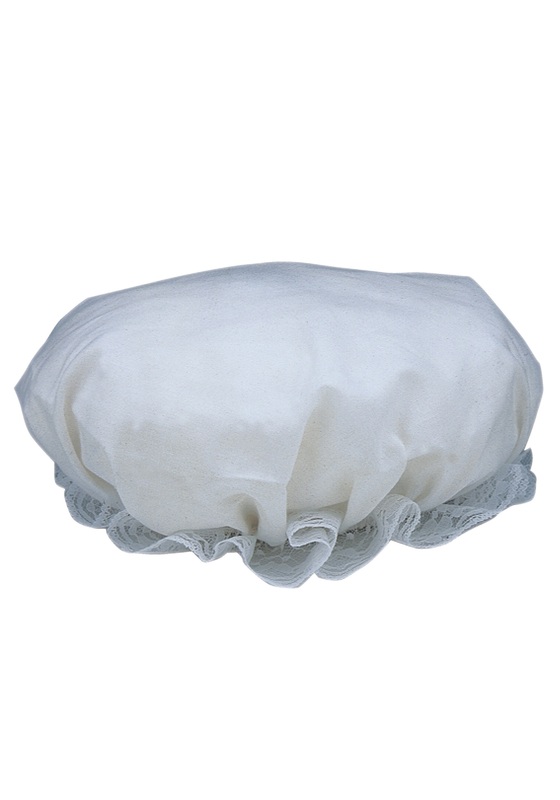 This white linen bonnet will perfectly resemble the informal style of women in the rural and country areas which, back in the colonial period, may have been pretty close to just about everywhere. The simplicity of the accessory is its greatest strength. Like a fluffy white cloud, it will sit right on your head with no need for adjustments. The lovely, yet still quite simple, lace trim encircling the cap adds a hint of fashion without being too flashy about it. So, give everyone at your next costume party a humble lesson in history when you add this Mob Hat to your Colonial outfit!